Despite what you might be tempted to believe after scanning the headlines of your favorite running magazine, there’s no one secret workout that will guarantee you set a new personal best at your next race. As experienced runners know, it’s the right mix of workouts and consistency over time that brings long-term and steady results. With a seemingly endless variety of workouts to choose from, picking the most effective workout to accomplish your racing goals takes a little research. Luckily, coaches and exercise scientists understand the specific metabolic demands placed on the body during long distance events. As such, they know what type of workouts will be the most effective for success at each particular race distance. Specifically, coaches and exercise scientists realize the important role of lactate during long distance races – how the body produces it, utilizes it as a source of energy, and how it contributes to runners slowing down. Therefore, it’s no surprise that most training schedules include a steady diet of threshold runs, particularly in the form of tempo runs or tempo intervals. However, when we take the time to examine exactly how lactate works, both as a fuel source and how the body clears it, many coaches have come to realize that straight tempo runs might not be the best way to improve your body’s use of lactate. Instead, coaches and exercise scientists are beginning to understand that the goal of threshold training isn’t to produce less lactate, as it’s traditional thought of, but to improve the body’s ability to clear lactate from the blood. In essence, you should be training to improve your lactate clearance rate. In this article, we’re going to debunk some of the faulty science about lactate that still permeates training theory today so you can better understand how to train more efficiently. More importantly, we’re going to look at how adding lactate clearance workouts can help you improve as a runner and show you some specific workouts you can implement right away. Lactate, or lactic acid as it is commonly known, gets a bad rap thanks to some faulty science from the 1970′s. While an excess accumulation of lactate contributes to why runners slow down at the end of races, lactic acid itself isn’t responsible for the muscle fatigue that causes you to do the skeleton dance at the end of a race. In fact, lactate is actually a source of energy. The cause of your muscle fatigue is actually the result of a build-up of hydrogen ions. For each lactate molecule produced by the body, one hydrogen ion is also formed. Hydrogen ions lower the blood pH and make the muscles acidic. This acidity irritates muscle nerve endings and causes that pain, heaviness, and burning mistakenly attributed to lactic acid. As you probably already know, your body breaks down glucose for energy, and a byproduct of this process is lactate. During easy running, your body reconverts and recycles this lactic acid back into energy (through the Cori Cycle) and carries away hydrogen ions with it. Therefore, the production of lactate, and the clearance of hydrogen, will remain relatively constant while running at an easy aerobic pace, which doesn’t require a huge demand for energy. As you continue to run faster and demand more energy, the production of lactic acid will slowly increase. At some point, whether it be too fast a pace or holding a steady pace for too long, the production of lactic acid will soar and your body will no longer be able to convert lactate back into energy. At this point, lactate can’t grab its hydrogen ion to reduce the concentration of hydrogen in the muscle cell. And, as we learned previously, hydrogen is what causes the muscles to seize up. Now that we understand how lactate really works in the body, and have discovered the true culprit of our muscle fatigue, how does that change our approach to training? Recent research indicates that the goal of endurance training shouldn’t be to reduce the production of lactic acid but to improve the ability to clear lactate from the blood. Simply speaking, we shift from the idea of increasing our tolerance for lactate production to the idea of increasing how efficiently our body utilizes lactate as an energy source. The faster we can train our body to reconvert lactate back into energy in the liver, the longer and faster we can run at a given pace. Therefore, the goal of your lactate threshold training shouldn’t be on how to reduce lactic acid production, but train your body to use it efficiently. While this shift in thinking is slight, it radically changes how you approach your lactate threshold workouts. Of course, traditional tempo runs, tempo intervals, and cruise intervals help increase your body’s ability to clear or reconvert lactate. However, you can implement special lactate clearance workouts into your training to more specifically target this niche of your training. My favorite lactate clearance workout is what I call the lactate clearance tempo. The purpose of the lactate clearance tempo is to spike lactic acid production with the faster miles and then train your body to efficiently process the lactate while still running at a reasonable pace (marathon pace). This will help make you more efficient at reconverting lactate to energy on race day. 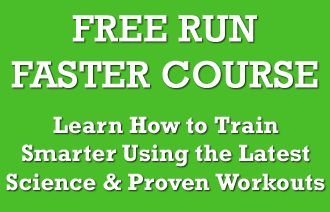 The lactate clearance workout is a great tempo effort for runners training for the 5k or 10k. It allows you to run at or near goal pace for part of the workout and still get the benefit of a threshold run. Likewise, marathoners and half marathoners can use it to add a little speed to a training plan that might be full of marathon paced miles. If you’re a beginner, we will often slow the “recovery” pace down to marathon pace or do one fast mile with two “slow” miles. To increase the total length of the workout, you can break the tempo into two or three 3 to 4 mile sessions. This will allow you to keep your volume high without going overboard with the workout. This workout serves as good practice for those runners who can’t control their pace early in a race. This will help you “recover” if you go out too fast. Doing more than 4 miles in one “set” is difficult. We keep the sets to 3 or 4 miles. Remember, the “slow” mile is designed to teach your body how to become efficient at processing lactate. Running faster just because you can reduces the effectiveness. Faster is not always better. We’ll implement these workouts in your schedule to spice things up and improve your lactate clearance rate. Does this workout function similarly with half mile sections instead of full miles? Or should the Threshold section be faster since it’s only a half mile? I would probably suggest 10k pace. 800 meters at threshold probably isn’t long enough to really elicit any significant lactate production. Thanks, that’s what I was thinking. Maybe even slightly faster than 10K pace even. That means with 3 minutes rest and 1 mile cool down. How would you recommend altering the paces for someone who lives and trains at 6000ft but wants to race a fall marathon at sea level? So GMP at sea level would be 6:15. my current tempo pace at altitude is around 6:20-6:25. What means w/u, c/d, w/3…? Without knowing that I don’t understand the exercise. Thanks!! w/u means warm up, and c/d means cool down. w/3 means 3 minutes recovery. Hope this helps! Maya, Thank you for sharing your story, even during the most difficult time of your life. No one should ever have to go through what Ronan, you, and your family and friends are going through right now and you have every right in the world to refuse to listen to those meaningless statements some people say. You and Ronan have a bond that will transcend and overcome anything thhcaatllenges it. My thoughts, prayers, and hopes are with Ronan, you, and your entire family now and always. What would be an example to develope a lactate threshold for first time 5k. Hi Thomas, we talked about it in the post itself, about a lactate clearance tempo. Hope this helps!